Make these Mom jeans your no.1 this season. 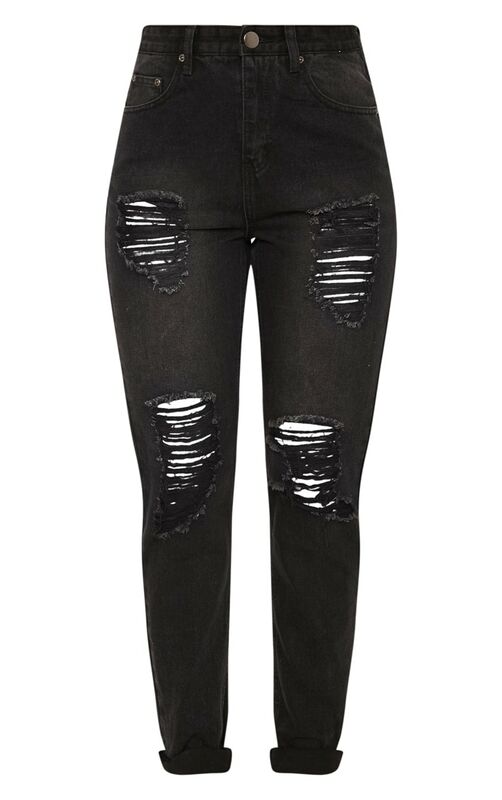 Featuring a black denim fabric with extreme rips and a versatile turn up hem. 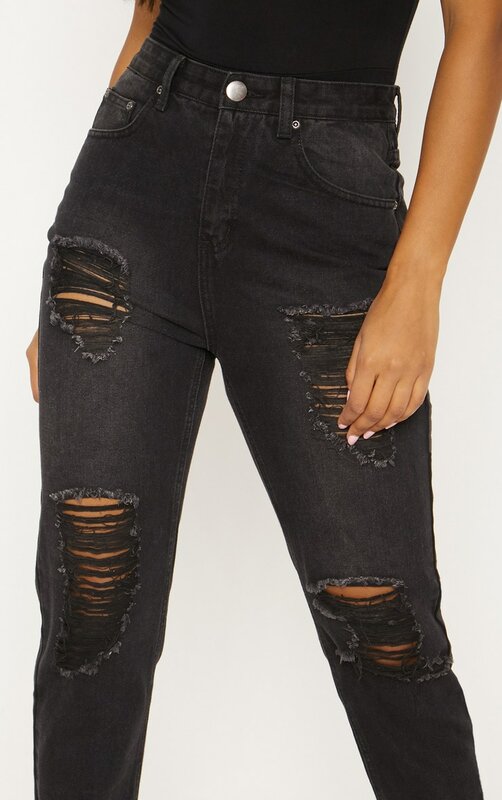 Team these jeans with a cute crop top and fresh kicks for a lush off-duty style. Or take it through to the night and pop on your fave heels.